This is coming about 4 years after he predicted Buhari’s victory. Hey Buddy!, I found this information for you: "Father Mbaka Reacts As Buhari Donates N2m To His Church". 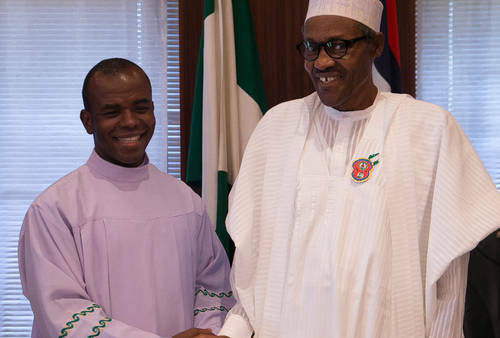 Here is the website link: https://headlinenews365.com/father-mbaka-reacts-as-buhari-donates-n2m-to-his-church/. Thank you.